The Milani Cosmetics Devotion Amore Matte Lip Crème ($9) is a highly saturated liquid-to-matte formula dries to a soft, velvety finish for fuller-looking lips. Its double-sided, flexible plush applicator hugs the contours of lips, working to lock in bold, opaque color. 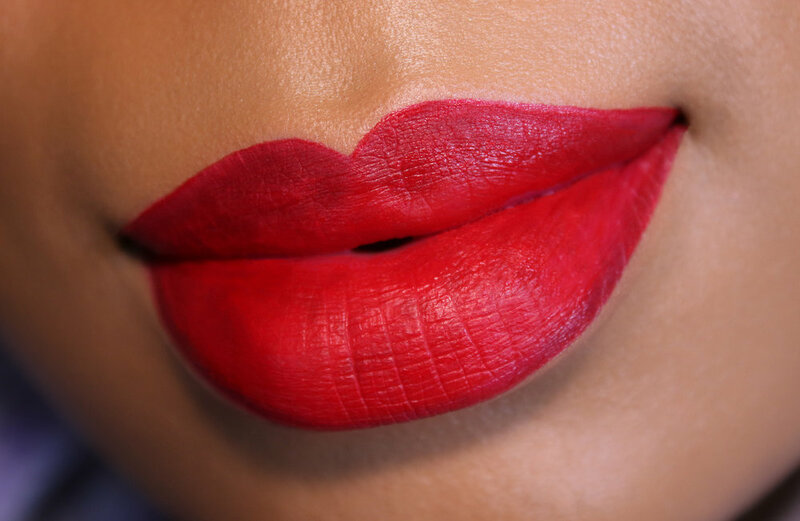 Amore is a bright red liquid lipstick. It was comfortable on my lips (make sure that ou exfoliate first) and it did stain my lips after having it on for 6 hours.